Yukihiko was born in Tokyo in 1884, and he became a pupil of Tomoto Kobori at the age of 14. As a leading figure of Nihonga he was very active and left behind many works from Meiji to Showa period. His style of painting was classic and kept drawing Yamato-e. Based on resources like classical knowledge and Yusoku-kojitsu, he created a genre of history painting. Not only draw paintings, Yukihiko made efforts for restoration of the wall paintings in the Kondō of Hōryū Temple and relocation of the National Museum of Modern Art, Tokyo. Especially, when he was 13 years old, he got moved by artworks, and succeeded the ideals that Tenshin Okakura pursued since then. 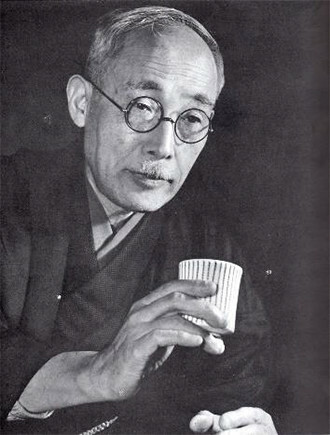 After Tenshin’s death (1912), Nihon Bijutsuin was resurrected under Taikan Yokoyama as a central figure, and Yukihiko served as the first president of Nihon Bijustuin in 1958, the year of Taikan’s death. Also, he designed Zenjiro Yasuda Villa in Oiso (Kannon-do) and Arai Ryokan at Shuzenji, Izu (main communal bath and guest room). He passed away at the age of 94 in April 1978, and ended his life of 80 years as an artist. Yukihiko Yasuda pursued the essence of Nihonga and left behind many works through creative activity of about 80 years from Meiji to Showa period. Yukihiko got moved intensely by art for the first time when he was 13 years old. He started painting at the age of 14 and studied under Tomoto Kobori, so he was skillful at painting warriors and historical figures, and created numerous works of painting. About His landmark work of Important Cultural Property “Camp at Kisegawa” (the National Museum of Modern Art, Tokyo), which describes the reunion of Yoshitsune Minamoto and Yoritomo Minamoto, is highly evaluated that not only the picture with a sense of urgency itself is beautiful, but also its colorful armors fascinate observers. In addition, he liked “plum” and he left behind noble-minded works including seasonal paintings with cold air, and his life seems to be devoted to realize the artistic ideals of Tenshin Okakura. To hand down Yukihiko’s artworks to posterity, we form Yukihiko Yasuda Appraisal Committee at this time. I hope those who own Yukihiko’s artworks own and appreciate them for a long time, and I am very grateful to all those who love Yukihiko’s works. Finally, I want to add that I believe artwork is not just to look at the exterior but also to feel and read the inner beauty. *Subject to change, so please contact us in advance. Appraisal is for brought-in works only. We don’t accept mailing or travel appraisal. We appraise the works brought in by 20th at the final Sunday of each month. we appraise it on January 28th(Sun), 2018.
we appraise it on February 25th(Sun), 2018. Please contact us by 3 days before when you bring in works. We can’t accept cancellation after appraisal request accepted. We issue certification consequently if the artwork is genuine.